Over the past decade, there has been a rising interest in developing man-made islands in the Gulf Cooperation Council (GCC) region overall. This strategy aims to achieve two goals mainly, the first being accommodating the growing population of the region’s nations while the second is promoting and developing the non-petroleum economic sectors; crude oil has been – and probably still is – the backbone of most of the Arabian Peninsula’s countries. And the Kingdom of Bahrain is no exception to that. 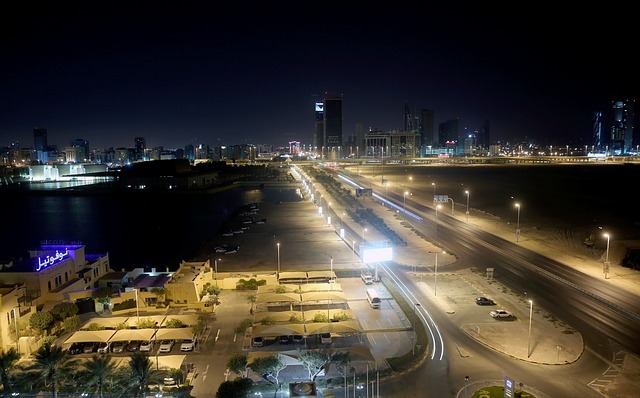 Since it is the the nation with the smallest area in the region, Bahrain was one of the earliest GCC countries to resort to sea reclamation schemes through many renowned projects. And Dilmunia Island comes as one of the most unique man-made islands in the Gulf. With an area that spans around 125 hectares of reclaimed lands and a value that exceeds the $1.5bn mark, Dilmunia is located off the northeastern coast of Muharraq Island. The mixed-use island project was conceived to be a fully integrated advanced healthcare destination that comprises upscale residential options, luxurious hotels, fancy retail attractions in addition to the medical facilities and research centers. Ever since its ground breaking ceremony in 2013, Dilmunia Island has successfully attracted the attention of multiple local and international investors and developers. Real estate investors have been expressing high level of demand on the apartments offered for sale in Dilmunia. With a design and concept inspired by the Hanging Gardens of Babylon, the Hanging Gardens of Dilmunia is an exquisite seafront project that offers its residents stunning views of the sea. The tower consists of 12 floors which include a total of 220 residential units, each of which has its spacious balcony. In addition to the apartments, Hanging Gardens of Dilmunia also features multiple indoor and outdoor fancy amenities that include separate swimming pools for kids and families, fitness gym with modern equipment, separate spas, open air play area for children, and a room for fun activities and games. The project is set for completion in December 2019. Situated at a great location in the heart of Dilmunia Island, Essence of Dilmunia’s unique design and architecture has helped it stand out among the man-made island buildings. The complex includes one-, two-, and three-bedroom apartments with variant spaces that range from 88 square meters to 424 square meters. As for the amenities, Essence of Dilmunia houses rooftop swimming pool and a jogging track on the rooftop, private cinema, fitness gym, and many others. Situated in the Southeastern corner of Dilmunia Island, The Treasure enjoys a strategic location in close proximity to many vital destinations and hubs. The tower includes apartments that vary between one-, two-, three-, and four-bedroom units with spaces that start from 79 square meters. The Treasure also has its own private health club, coffeeshop, and garden in addition to many other amenities that include an outdoor swimming pool, an aerobic room, a private cinema and many others.